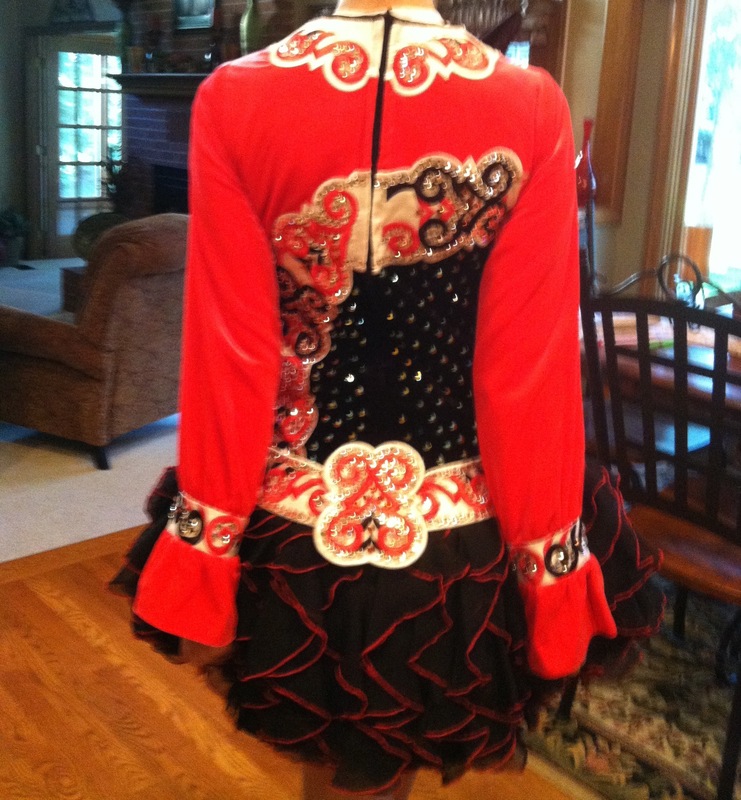 Stunning two year old custom Siopa Rince dress! 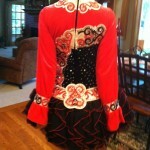 This dress is in amazing condition and is very loved! There are over 2,000 Swarovski crystals that were added after the dress arrived. 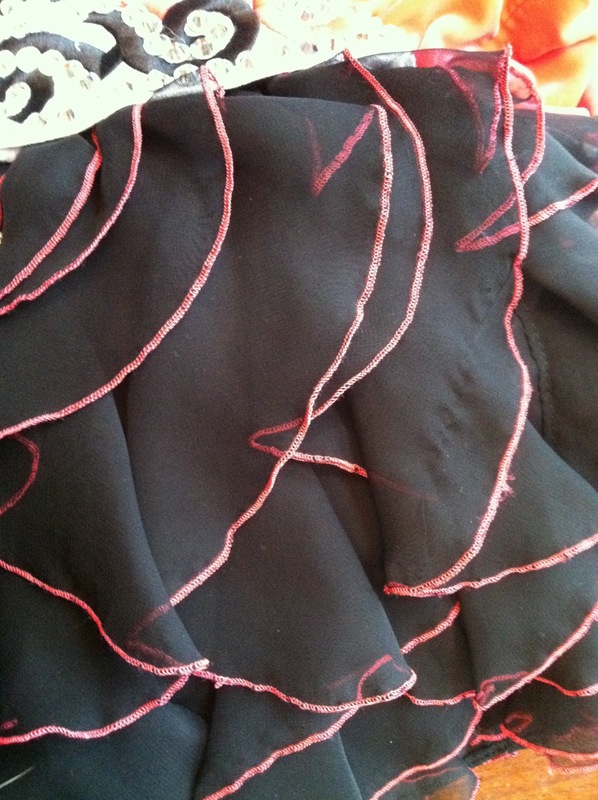 There are hundreds on AB crystals on the black parts of the bodice. The dress is pink and black. 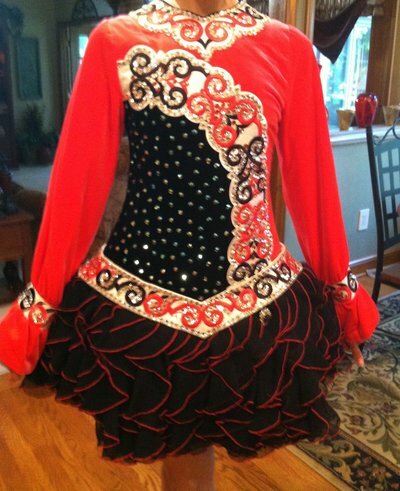 It has a flowing skirt that is extremely light and easy to dance in. 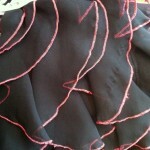 It is made of silk and lined in pink stitching. It is very modern and has a small cape to go along with the current style. The sleeves have a flared end which makes for a very elegant look. The dress has brought much luck to us! There is a lot of room for the dress to be taken in and let out. Crown, spankies, extra fabric, and crystals included. Asking Price: $US800 OBO. Shipping costs are included in the asking price for worldwide shipping. Returns are negotiable.